Elevated Biking would be my two-word-summary of the Monarch Crest Epic ride. 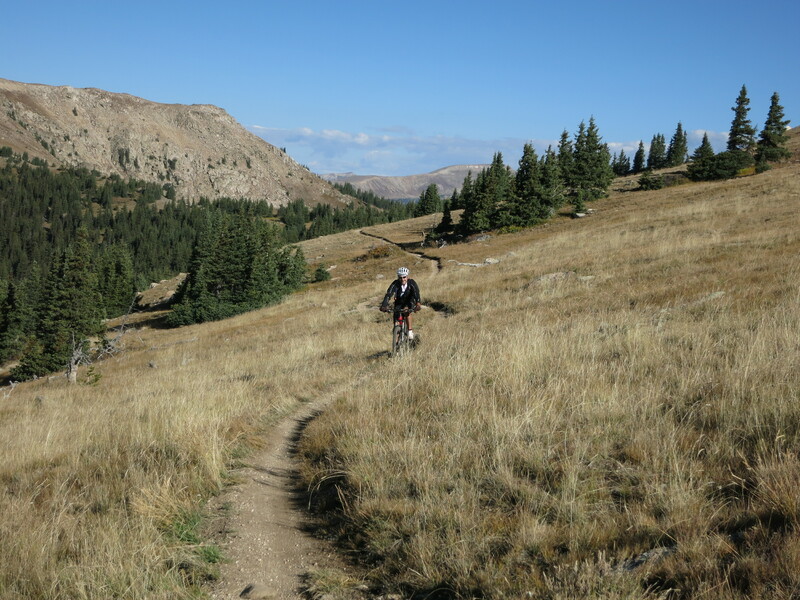 The trail starts at the Monarch Pass in an altitude of 11312 ft/3448 m and on the first miles of the ride you continue to gain elevation to an altitude of about 12000 ft/3646 m. The Monarch Crest Trail ascents and descents moderately, but ascents are in the beginning a little longer than descents and let you gasp for air unless you have slept for weeks in a hypobaric chamber. The elevated epic ride is made possible (or better enjoyable) by a shuttle service that carries bikes and riders from Poncha Springs to Monarch Pass for 20$. The Monarch Crest Trail leads to the Continental Divide Trail, then to Silver Creek Trail that turns into Rainbow Trail. Including the fast slight downhill ride back to Poncha Springs on Hwy285 the total mileage of the ride is about 35 (55 km). Over the length of the ride you experience very different conditions: singletrack and doubletrack, surfaces from smooth packed dirt or sand to loose, bumpy rocks and finally to paved road. 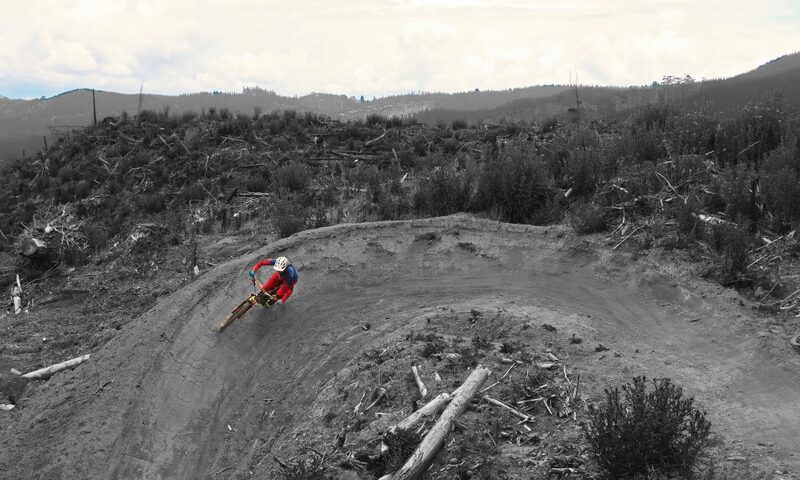 The ride is most fun in the lower part of the Rainbow Trail as it winds alongside the hills and crosses numerous ravines with little creeks. Altogether, this epic ride is perhaps not distinctly spectacular, but it leaves you with a feeling of deep satisfaction for a while.